Here at Cassidy Dental Associates we understand the discomfort patients endure when they have been diagnosed with TMJ. 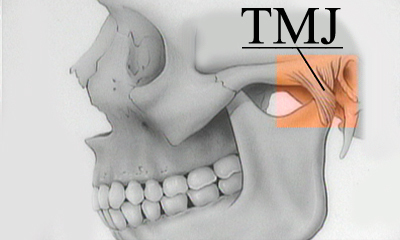 TMJ (Temporomandibular Joint) Syndrome is a condition that produces pain in the muscles and joints of the jaw that can radiate to the face, neck, and head and in some cases even the shoulders. Many patients present with severe ear pain. There also may be difficulty opening the mouth all the way, or clicking and popping noises when chewing, yawning, kissing or moving the joint. The most common causes of TMJ are a poor bite, and stress, combined with grinding of the teeth, especially at night.